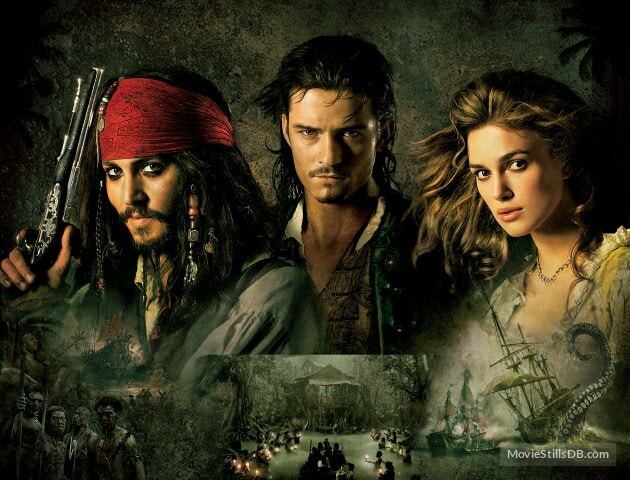 “Pirates of the Caribbean: Dead Man’s Chest” (Release date: July 7, 2006) The sequel to the 2003 Disney action adventure was even more commercially successful than its predecessor. Though it didn’t receive the same amount of positive reviews, “Dead Man’s Chest” grossed about $423.3 million domestically and $1.06 billion worldwide, which helped spawn three more sequels for the franchise. “Spider-Man 3” (Release date: May 4, 2007) “Spider-Man 3” may not have lived up to the hype of Sam Raimi's first two movies in the superhero franchise, but it certainly made an impression financially. 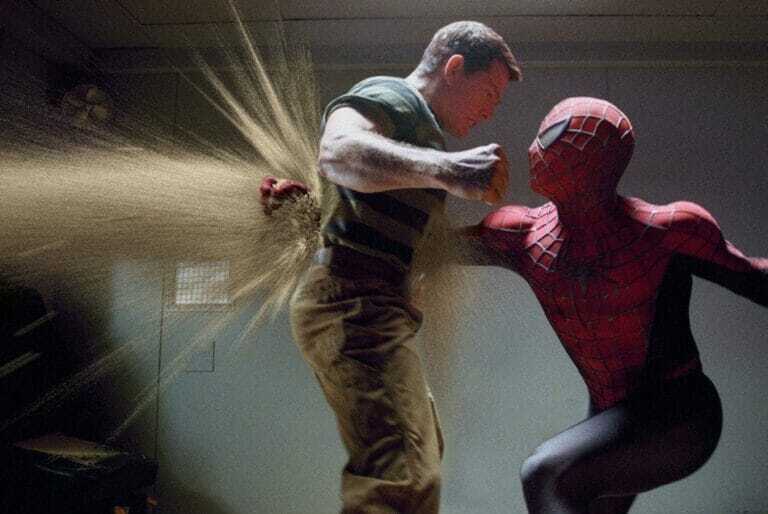 The third and final outing with Tobey Maguire as the webslinger earned $336.5 million domestically and $890 million worldwide. "The Dark Knight" (Release date: July 18, 2008) The middle film in Christopher Nolan’s Batman trilogy featured a memorable, Oscar-winning turn by Heath Ledger as the Joker. That boosted box office to an impressive $534.8 million in North America and just over $1 billion worldwide. "Transformers: Revenge of the Fallen" (Release date: June 24, 2009) Poor reviews didn’t stop “Transformers: Revenge of the Fallen” from becoming the highest grossing film of the summer of 2009 (and the second highest that year). 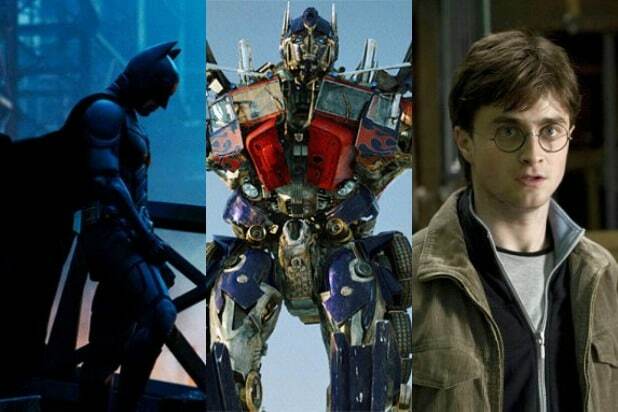 The movie grossed $402.1 million domestically and $836 million worldwide. "Toy Story 3" (Release date: June 18, 2010) Fifteen years after Pixar’s beloved classic “Toy Story,” the film’s threequel exceeded expectations, both critically and commercially. Receiving overwhelming critical praise and two Academy Awards, “Toy Story 3” skyrocketed at the box office. It grossed $415 million domestically and became the first animated film to top $1 billion worldwide. “Harry Potter and the Deathly Hallows, Part 2” (Release date: July 15, 2011) The eighth and final chapter in the epic “Harry Potter” film series was a no-brainer success. After a record-breaking opening weekend, “Harry Potter and the Deathly Hallows, Part 2” made $381 million in domestic revenue and $960 million overseas, totaling $1.3 billion. "Marvel’s The Avengers" (Release date: May 4, 2012) Marvel's superhero mash-up became the studio's first to claim the summer box office title. Drawing $623.4 million in domestic grosses and $1.5 billion in total, "The Avengers" established Marvel’s place in creating blockbusters. "Iron Man 3" (Release date: May 3, 2013) Marvel continued its streak with "Iron Man 3," which earned $409 million in the U.S. and $1.2 billion worldwide. "Guardians of the Galaxy" (Release date: August 1, 2014) Once “The Avengers” and “Iron Man 3” set the bar high for commercial success, Marvel proved to be an unstoppable force when it released "Guardians of the Galaxy." A peculiar revival of an old Marvel comic, "Guardians of the Galaxy" became a critical and commercial hit, making $333.1 million at the domestic box office and $773 million worldwide. "Jurassic World" (Release date: June 12, 2015) After making waves in "Guardians of the Galaxy," Chris Pratt cemented his leading man status with “Jurassic World,” the fourth installment of the “Jurassic Park” franchise. In addition to making $524.4 million worldwide in its opening weekend, “Jurassic World” shattered box office records. It wound up chomping $652.2 million in domestic revenue and $1.6 billion overall.